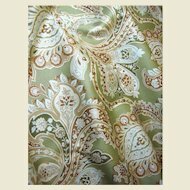 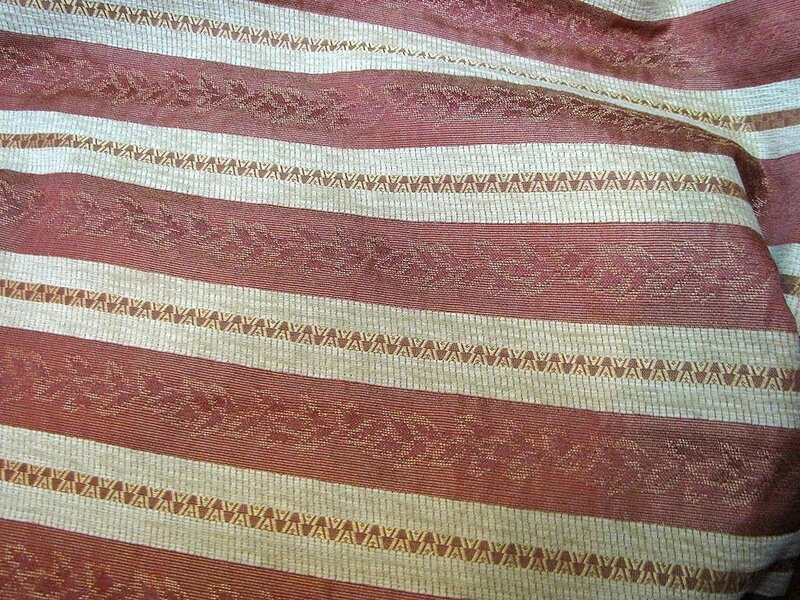 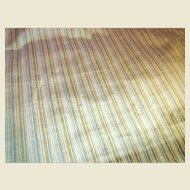 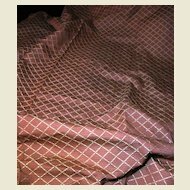 This is an interesting fabric, with fawn chenille striped worked across the width of a leaf patterned rust colored brocade. 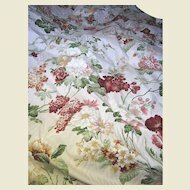 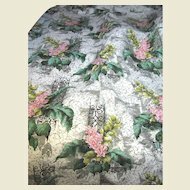 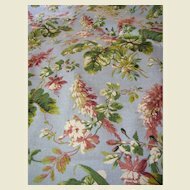 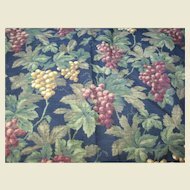 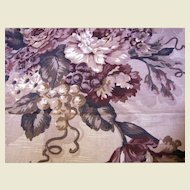 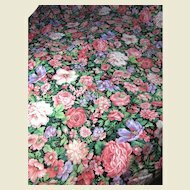 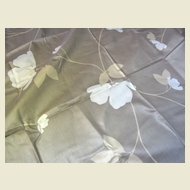 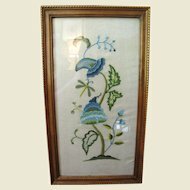 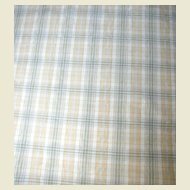 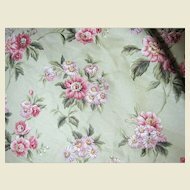 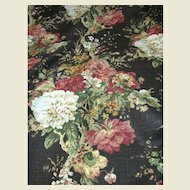 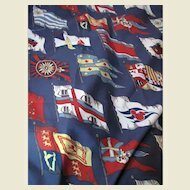 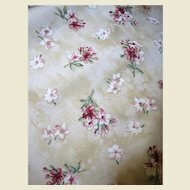 The fabric measures 3' 16" by 54" wide, and is warm and inviting looking, it would be very nice for pillows, chair seats or bench covers. 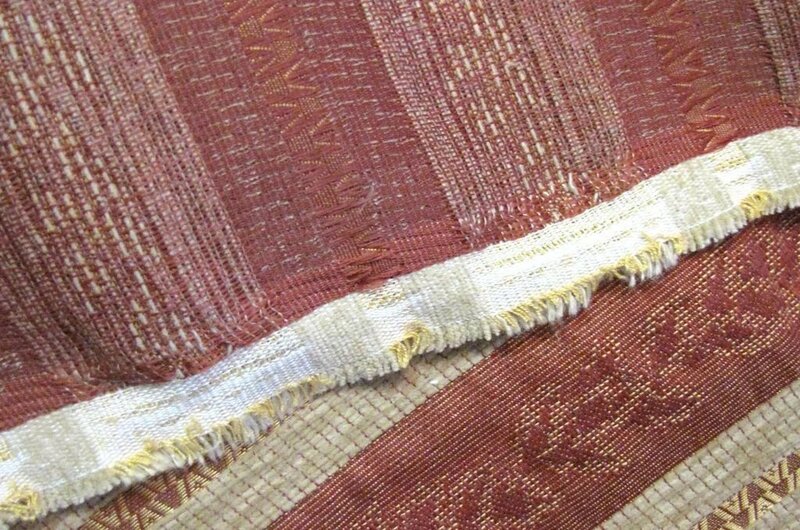 The fabric has no contents or makers labels, I would say it is of mixed fibers, and is medium to heavy weight with a fairly dense weave, see photos of the reverse. 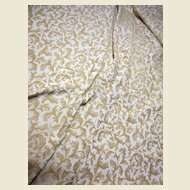 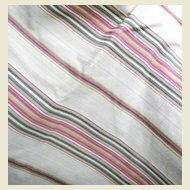 The fabric has a small cut section a couple of inches deep to the selvage on one end (I have only priced for 3 yards, so you are getting a good bit over), otherwise it is mint, having been appropriately stored in a design studio from new.